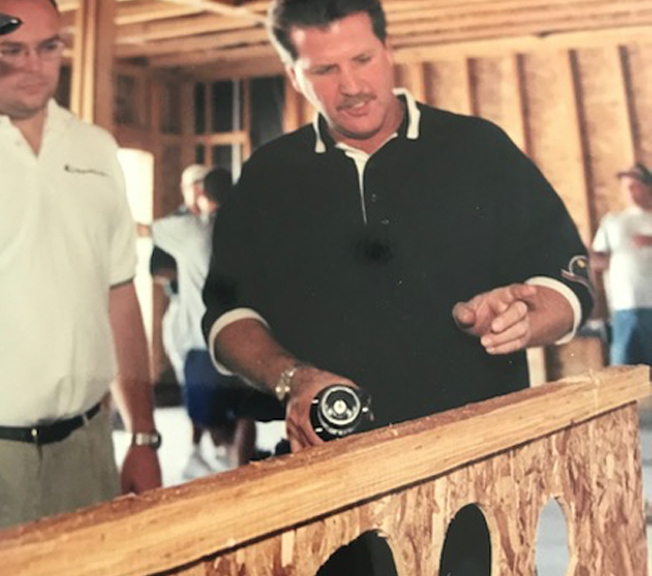 As a former TJI tech rep we taught builders and framers how fast I joist could roll in multiple continuous spans. Our new Class A Safe Joist can roll in multi spans up to 48’ straighter with no crown. I’m looking for a Fire Fighters that would like to join me as a guest on my podcast as we talk about all those floors that have collapsed during rescue. I’m 45 years in wood framing and lumber and before I retire I’m out to make all wood framed building safer in fire even mass timber. Firefighters are taught that — to survive — they must "know the enemy." Attorney Cy Gerde calls the engineered wood “the enemy.” He studied the Smith case as the lawyer for the Tippecanoe County town of Shadeland. The town passed an ordinance regulating the use of the material because its firefighters, near Wea Township, had personal concerns about Smith’s death. Join me tomorrow at 6pm EST on MFI Red Zone Podcast as we talk about defending buildings from fire during construction from Arson attacks that are happening at an alarming rate all around the USA. 3pm PST join in click the link on my site and learn about new Applied Fire Science for Wood Framed Buildings please watch"